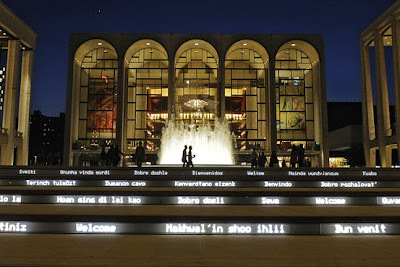 The Metropolitan Opera could find itself the unexpected beneficiary of a multimillion-dollar gift under the unusual terms of a Washington, D.C., heiress's donation, according to several people familiar with the matter. Betty Brown Casey's donations to the Washington National Opera's endowment came with a stipulation: Should that company fail to remain independent, the funds would be rescinded—and transferred to the Met. That day could be on the horizon: The National Opera is in merger talks with the John F. Kennedy Center for the Performing Arts, The Wall Street Journal reported last week. According to a person familiar with the matter, donations made by Mrs. Casey, the National Opera's life chairman, constitute between one-half and two-thirds of the National Opera's total endowment, which was $30.5 million at the end of its 2009 fiscal year. That would make the amount of the Met's potential windfall between $15 million and $20 million. A lawyer for Mrs. Casey, Brendan V. Sullivan Jr., referring to the opera, said: "I'm confident that they will abide by their written agreements."